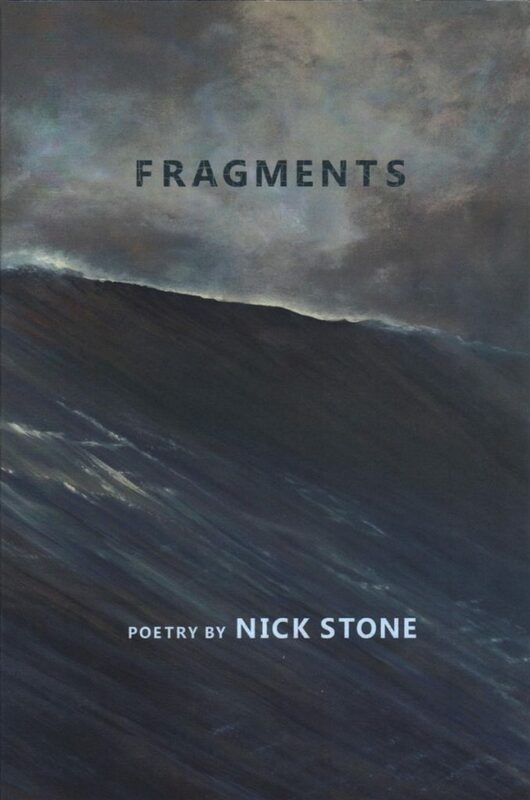 After a career in law, Nick Stone of Georgetown publishes his first book of poetry. Nick Stone spent most of his life either on the water or in the board rooms of Boston, where he worked and excelled as a corporate lawyer. He enjoyed the challenge of writing incisive, precise and compelling legal briefs and documents. “That was the left side of my brain functioning to its max,” said Stone, whose debut book of poetry, “Fragments,” presents the kind of writing he does with the right side of his brain. Stone lives on MacMahan Island in Georgetown. He’s been coming to the island since childhood, when his grandparents bought the island and invited the family up for the summer. 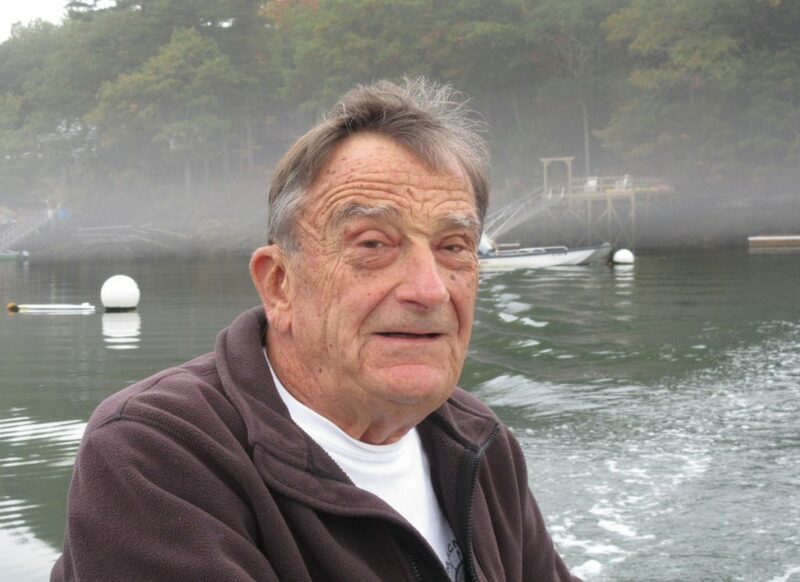 He knew he had arrived in Maine when he smelled the salty air and dipped his finger in the water as the family motored to the island in a 15-foot wooden skiff, powered by a tiny Evinrude outboard. “It was freedom – freedom to be on my own and approach life on my terms and say what I wanted to and not what someone told me I had to,” he said. The ocean became a part of his personality. He read nautical books, learned to handle the boat and rowed crew in college. He worked at Bath Iron Works in the summer during college and joined the Coast Guard before practicing law. He’s traveled all over the world and always dipped his finger in the water of whatever foreign land he found himself. Doing so made him think of the salty waters of Maine. Stone and his wife, Erin, made MacMahan Island their home about a decade ago, when he retired from law. Most of his career, he was a senior partner at Nutter, McClennen & Fish. For the last 13 years, he was a senior partner at Hale and Dorr. Both are Boston law firms. Seven or eight years ago, he began writing poetry seriously. “Before that, I would write occasional poetry, for a funeral or other occasions that were appropriate for poetry. But it was infrequent. 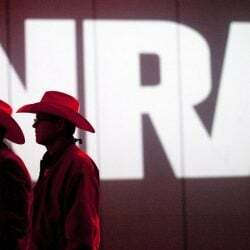 I didn’t sit down to do it deliberately,” he said. Moving to Maine encouraged his right-brain creativity. The idea of a book – Stone published “Fragments” independently through Maine Authors Publishing of Thomaston – came about last spring, when a friend told Stone he was publishing a memoir. Why publish a book? Stone asked. “His answer was telling to me: ‘My children don’t know who I am,’ ” Stone recalled his friend saying. If anyone wonders about Stone and his life, the answers are in the pages of this book of autobiographical poetry. “This will help them know more about who I am and who I was,” he said. All the poems in “Fragments” are true, he said. To illustrate the book, he reproduced the painting “Seventh Wave” by Marilyn Voorhees Hansen. He owns the painting, which hangs in his island home. Stone divided the book into sections: the sea, love and family, a call to pens and the dream of life. In “The Stutterer,” he reflects on his difficult youth, when his “childhood tongue was frozen” and he couldn’t speak. when I must get up to pee.